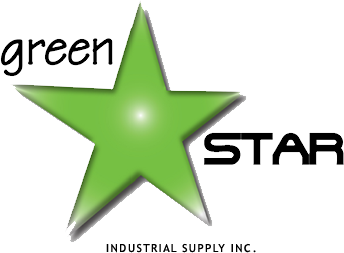 Green Star is committed to producing products to meet business needs of all types: Cleaners, Environmentally friendly solvents and degreasers, greases & lubricants, water treatments, drain maintainers, hand protective cleaners and skin shields, air fresheners, insecticides and many more specialty items! Green Star Industrial Supply is a specialty chemical company selling only the best. Green Star meets your needs with environmentally friendly cleaners, solvents, greases and degreasers, lubricants, water treatments, drain maintainers, air fresheners, insecticides and numerous top quality specialty items. Green Star has a complete customer service sales force and a highly skilled and knowledgeable support staff that is trained, dedicated and polite. We all work to help our customers with speed and efficiency. Green Star is devoted to making life easier and helping your business move forward by solving your problems. Our philosophy is simple, a happy customer is a loyal customer. We are loyal to our customers and hope to gain their loyalty in return. Our products give your problems a solution. We change your world by making life at work easier for you. Our customers are at the heart of everything we do. Find out for yourself and you'll understand why we are a company worth keeping. Nothing works like Green Star Odor Eliminator™. The Right Stuff keeps pipes clean and keeps drains smelling fresh and free from insects. Green Star Industrial Supply is happy to supply you with Material Safety Data Sheets. Simply fill out a short form and we will send you the information you have requested. Green Star Industrial is always looking for new talent. We offer flexible daytime hours, generous compensation plan and other perks. Find out more about our current openings by clicking below.